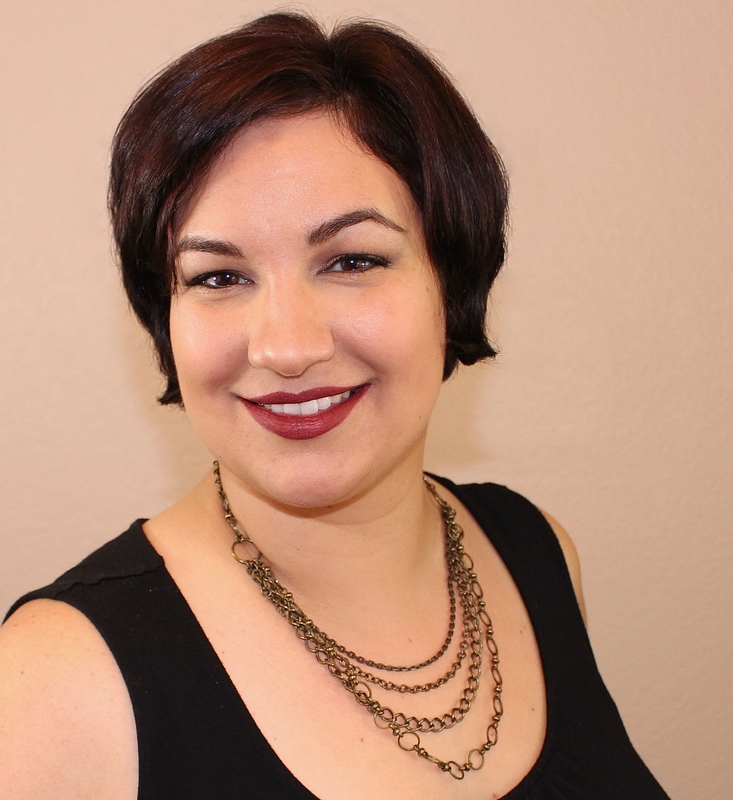 Greetings, dear readers, and happy Monday! I hope your week has been off to a wonderful start! It's business as usual here for most of the week although Wednesday is a vacation day for the 4th of July. I've been thinking of creating patriotic nail art to share, but my schedule is a little too hectic at the moment and I've had naked nails for the past several days. Hopefully things settle down and I can create the design I have in mind for the final game of the World Cup! Now on to this evening's blog post! Way back to last May, Ellagee Polish created the gorgeous She Blinded Me With Science for the Science-themed Polish Pickup. With the Polish Pickup taking a break for the month of July, the makers that have participated thus far have brought back one of their creations to their own shops. There was a vote in the Gee I Love Ellagee Facebook Group, and Ellagee fans selected She Blinded Me With Science as the shade they wanted to return for purchase. I had originally reviewed this polish prior to the original release, but with the relaunch, I thought it would be nice to get a second look at it! 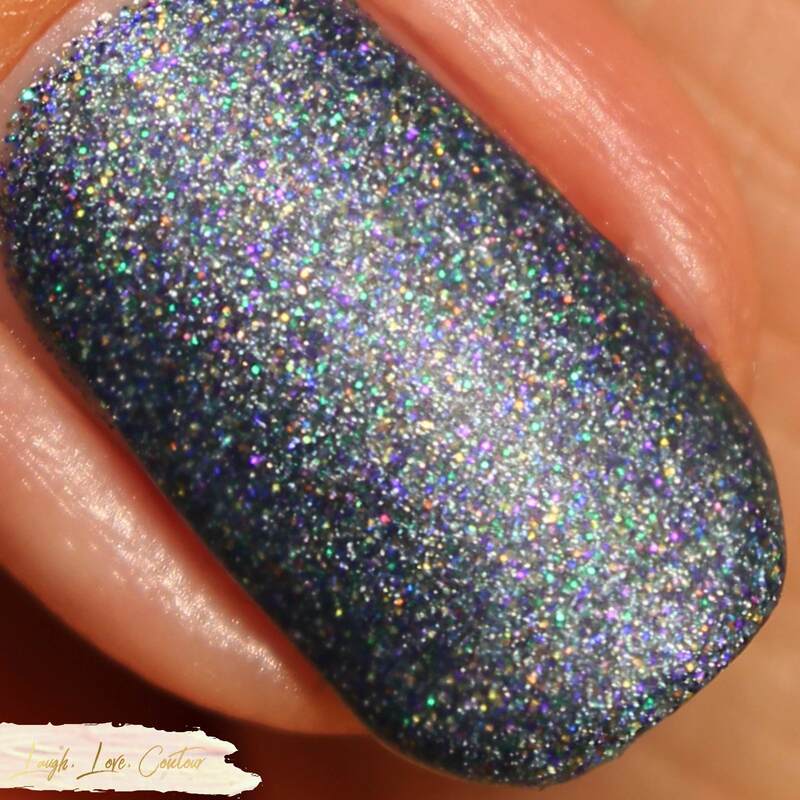 She Blinded Me With Science is a smokey blue jelly-based polish loaded with microglitters in a rainbow of colours. I used three coats to cover any visible nail line. Because of all the microglitters, it does leave a texture to the nails, but two quick coats of top coat smoothed out my nails nicely. I wanted to see what this would like like with a matte finish, so I topped my nails off with a matte top coat. She Blinded Me With Science is available for purchase throughout the month of July only at Ellagee.com. It retails for $11 per bottle. Please note that that the shipping time is currently 5 to 7 business days. For the first week of July (through Saturday, July 7th), 20% of any purchase at Ellagee will be donated to RAICES Texas to support their work reuniting immigrant families. Did you pick up She Blinded Me With Science with the original release, or will you be getting it this month from Ellagee directly? Do you prefer it shiny or with a matte top coat? I'd love to hear from you! It's just beautiful. Why do I love these dark polishes so much?? It looks so awesome with the matte topcoat! I prefer it with the shiny top coat - I wouldn't want to dull that gorgeous holo sparkle! 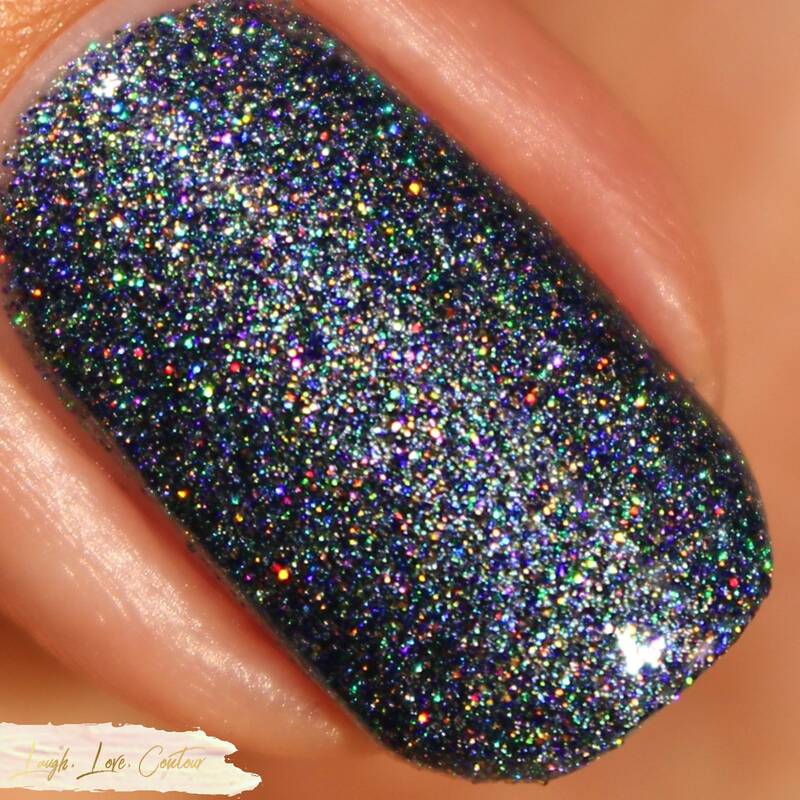 What a stunning micro glitter! I think it looks great both ways. That's a really lovely color. I love it shiny. This is a gorgeous polish with a regular topcoat but with the matte top coat it's absolutely stunning! I would pick this up just to wear it matte! Wow, this is, by itself, a galaxy manicure! No need of Milky Ways or Saturn. I think I like it better shiny, for a change! This is so pretty!!! Has a galaxy vibe! I don't know which finish I love more but either way, need!! Oh wow. I love this one matte! And sparkly! Love it shiny! Its so intense!